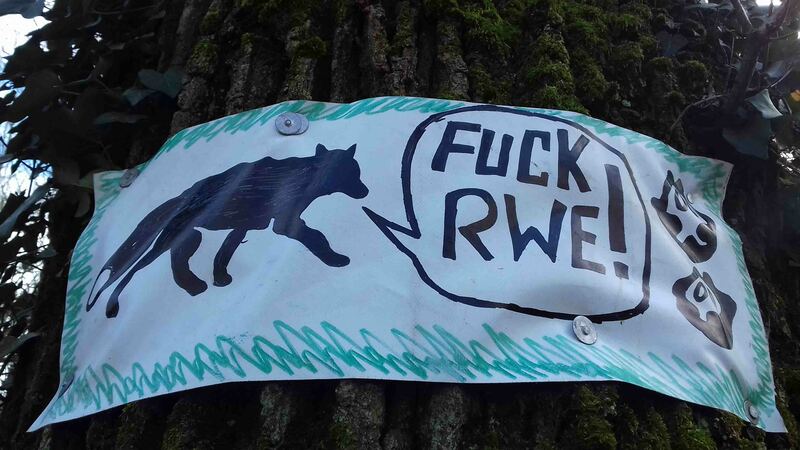 Last week during clearing of barricades about 20 riot cops and RWE workers destroyed and took out the forest the Info Board showing tracks of animals in the forest as well as direction signs pointing to different parts of the forest occupation. 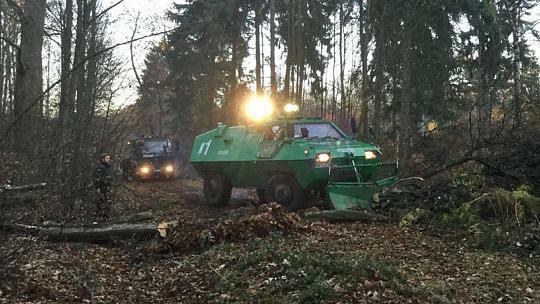 Damaging and removal of Hambacher Forest material and any information on species present in the forest is a on-going part of the repression cycle. 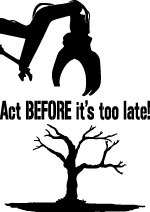 This info and structures do not go well with present propaganda campaign against forest activists which has been conducted by openly employed by RWE politicians and their “journalist” contractors done to justify the planned eviction of the meadow, forest occupation and destruction of the last parts of the Hambacher Forest using public resources to try to erase any educational or ecological content that is in conflict with their constant green-washing campaigns. Yet for as long as the forest activists occupy the forest there will be banners, forest info and signs to remind all of the issues at hand. 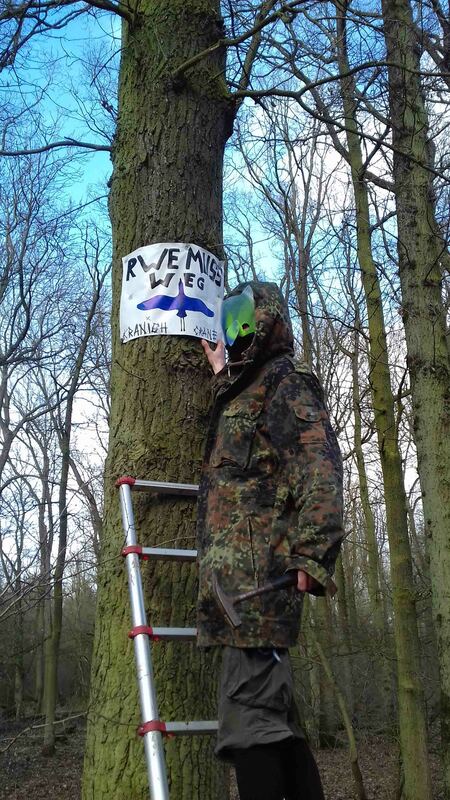 Shortly after the this last “visit” new signs and info were put up illustrating the species which are being defended in the Hambacher Forest. It included outlines of birds in flight and responses to the destruction of the forest, mass polution and destabilization of global climate. This time the info has been placed higher up in the trees. “On 21.02.17 we sabotaged the Hambachbahn. We have caused a short circuit at the overhead lines by throwing a wire rope, with a stone on both ends (attached with duck tape). For the time being, this stoped all coal trains in the vicinity. 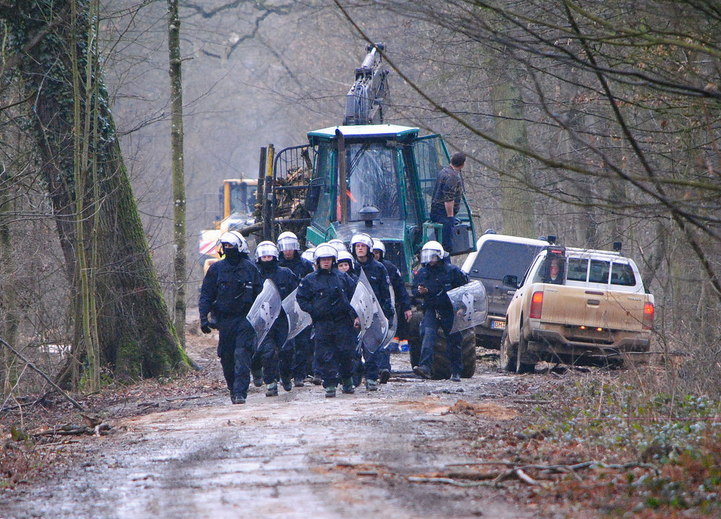 This action was announced to be a response to the clearing work done a few days ago in Hambacher Forst. Try it, it’s fun. You just need to find a bridge over the railroad-tracks. When the wire rope meets the overhead lines, a large lightning flash (look away or wear dark-glasses) and it makes a loud bang. From February 14 to 18, a large anti-nuclear mobilization took place in Bure (France) resisting the French State Company Andra’s plans to build an underground nuclear storage site in the occupied Lujec Forest. Over couple of days several night marches took place from the “Maison de Résistance” (House of Resistance) to the temporary nuclear storage site and progressively fences surrounding the storage site were brought down. On Feb. 8th, the mobilization culminated with over 1000 supporters taking part in the march to the occupied forest with its many barricades/guard-houses, living structures through-out the forest and a growing number of tree-houses. The visitors shared a collective dinner with the occupiers and then marched to the Andra’s storage site where they had to cope with riot police shooting tear gas projectiles, concussion grenades and blocking the road with a mobile tank with attached fence-barricade that was bolted to the road as the crowd approached. The protesters responded by setting up their own barricades and lighting their creative floats on shopping cards, with one appropriately named Fénix, on fire and engaging the police in a four hour battle. During that time the remaining fences were taken down, used as additional barricades and as shields from the police projectiles. Only two people were arrested and later released and several sustained injuries from the “FlashBang”concussion grenades. Regardless of the repression and the state imposed violence the atmosphere remained festive and full of solidarity. An ongoing call has been issued out for support of the forest occupation due to the ongoing risk of police actions to dislodge the forest defenders. This anti-nuclear struggle is located in Bure, department of Lorraine, approx. 3 hour drive south from the borders with Belgium and Germany. 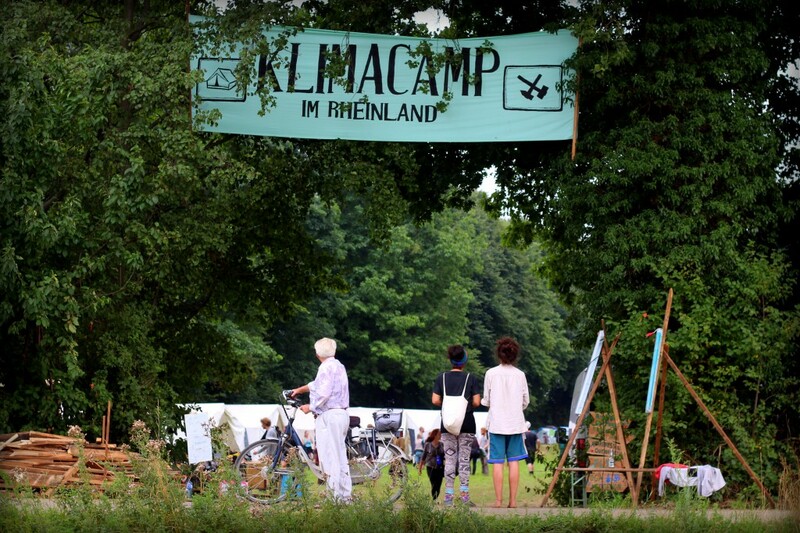 This year’s Climate camp will take place in the Rhineland from 18th to 29th of August. During this period, various educational and cultural events , workshops as well as protest actions organized as part of the 2017 area concept will take place. Based on the resistance against Castor Nuclear Transport it involves organizing overlapping areas where different tactics and players take different roles and locations. Altogether there will be three separate camps including one at the Hambach Forest. The Degrowth Summer School will also be back with a week of workshops on sustainability,DIY and anti-consumption driven outlook. RWE Once Again Not Paying dividents this year. On Wednesday, February 22, 2017, it was announced that this will be the second year in a row when RWE, the nuclear and coal-mining group, will not be distributing dividends to its shareholders. The City of Aachen holds a good 550,000 RWE shares. These “investments” are part of budgets and portfolios of many municipalities in the area who have all been adversely affected by RWE’s continuously falling stock prices and no dividend pay outs since 2016. 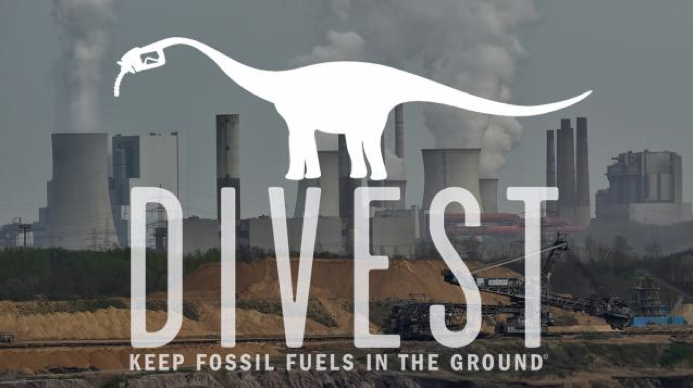 Divest Aachen has been calling on the urban community for over a year to decide ethical-ecological investment criteria and to immediately dispose of all existing investments in fossil fuels. “We have to prevent RWE from continuing to burn enormous amounts of coal to prevent global warming above 1.5 ° C,” explains Heuser. “This can be done by financial pressure, that is, by pressure from shareholders”. By not divesting the city councils involved are torpedoing the Paris Climate Agreement by holding on to RWE stocks. In order to meet the 1.5 ° C limit, according to current studies the combustion of coal, oil and gas would have to be stopped immediately, and well over 80% of the resources would have to remain in the ground. Even an official study by the Enviromental Ministry strongly recommends that carbon dioxide emissions be reduced by at least 50% by 2030. In the energy sector, there are numerous local and decentralized development potentials and investment opportunities in renewable energies. “The city community, like a whole series of municipalities, had long had the chance to get rid of this economic wooden leg and at the same time to do something for our already much-imperilled climate. Instead loyalty to a destructive and unprofitable industry is being maintained. Their spokespersons have maintained that the municipalities in the region try to use their status as a shareholder to have an influence on RWE. The Divest Initiative wonders what this influence should be and why nothing seems to be happening. In the last few months, climate protection activists have achieved success in influencing not just Münster, Berlin and Stuttgart to withdrawing their capital from the fossil sector but also Bochum, Siegen and the district of Osnabrück have decided to sell their RWE shares. In some other municipalities a divestment of fossil energies is being discussed. 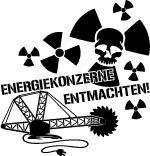 According to a research by Greenpeace, there are more than 20 municipalities holding more than one million RWE shares. The current total of approximately 1.6 billion euros of public funds which are currently in RWE shares, would in the opinion of the climate activists be much better spent in the local renewable energy sector that generates on average 5 times more jobs than the fossil fuel industry without having its catastrophic ecological impact. Translated with small changes from the Press release of the Divest Aachen initiative. 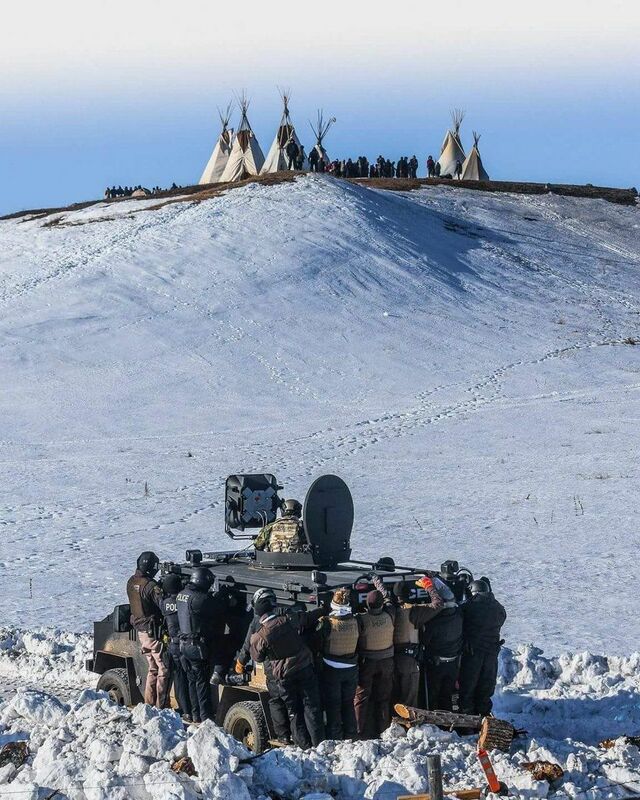 This Thursday the Standing Rock Camp in North Dakota has been attacked by heavily militarized police and national guard units pointing sniper riffles and machine guns at Dakota Sioux protesters, over 40 people have been arrested and the structures destroyed. The NoDAPL struggle fighting against North Dakota Access Pipleline’s passage through tribal Lands and the Missouri River has resulted in numerous road blockades, direct actions, over 400 arrests and has inspired people around the world who are also fighting and defending the Earth against capitalist extractionism. It has also brought attention to the dynamic of global colonialism, racism and privilege. This like many struggles is and will, through the effects it has had and will continue to have, never be over. New camps are being already established in the area, including the Sacred Stones Camp to which the police is attempting to block delivery of building supplies. The reoccupiers and all those continuing the struggle will have to deal with not just the aftermath and continuing repression but also with the defeatism that so often follows large evictions. When introducing the Hambacher Forest anti-lignite struggle after four previous evictions, one often hears “Oh I thought you got evicted and it was over”. 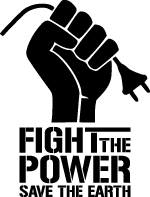 This, besides a commentary on wide-spread apathy and short and shallow news cycles of mainstream media, is also a reminder that for all facing overwhelming forces the act of defiance symbolizes victory in itself; a victory over inaction, destruction and greed. It removes the blinding influence of those factors from those who hear of the struggle, and generates a public relations nightmare for all who frack, drill and mine the Earth. Most importantly, it has once again taught and reminded us that we are not atomized and alone. All that is needed to reocuppy and continue is the call for action. An invitation is hence extended to welcome those involved in the NoDAPL struggle to come visit the Hambacher Forest occupation both physically and in spirit, if possible sharing the experiences and decompressing from what you just have been through. Visit us at anytime or specifically for the Skillshares Camp in April or Climate Action Camps in August and November. Thanks once again for persevering on the fringes of society and in the process becoming its beating heart. 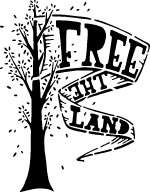 Thank You for making a stand as many other camps, including ours, check the horizon daily to see if this is the day when our support camp and the forest occupation will be evicted. That day will come and is already coming as this is being written for many of our human and animal comrades who found and placed themselves on this frontline to protect existence and nature. To all at the end of the riffle barrel or bulldozer blade: It is not you who has to stay strong, you already have done so and more. Now is the time for all who will be in the same position tomorrow to have the courageous strength that you have demonstrated so far. The Forest is aready filling with blossoms of wooden alimony and convalias. This is about a month earlier than in previous year reflecting the ongoing disruption and warming of the climate with the largest net CO2 emitter at the edge of the forest. 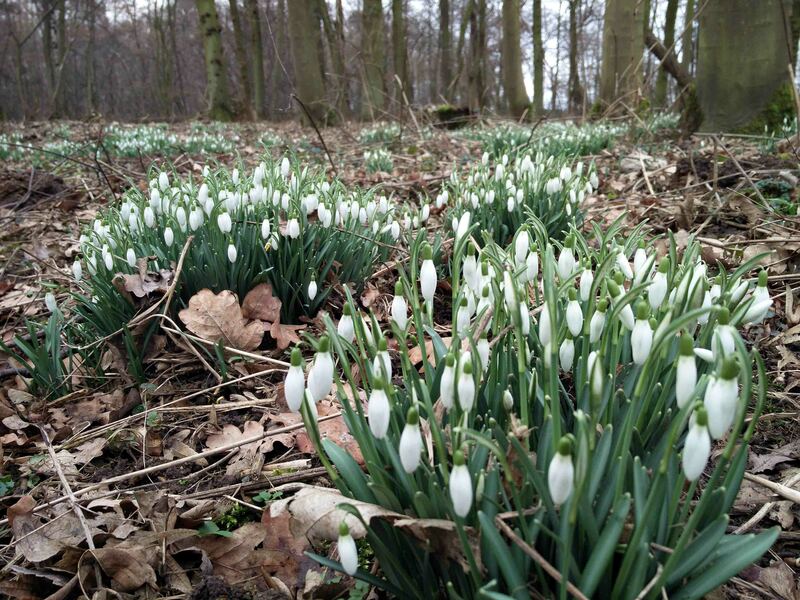 It is yet another example of life adapting and strugling on the edge of destruction and also could be the last chance and the last year of these plants if the fight to shut down the mine and RWE is not continued. 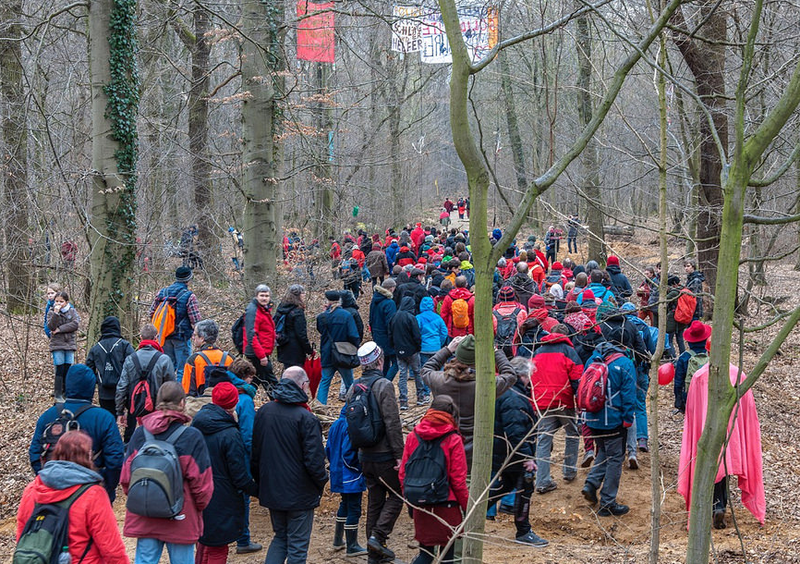 The Red Line action on Sunday 19. of February brought 1300 people to the Hambacher Forest with buses coming from Netherlands, Belgium and Cologne. Hundreds of people walked from surrounding villages and the Buir train station to the sounds of a Rhythms of Resistance percussion band and converged before roadblocks into the forest. Here the introduction speech took place. Michael Zobel (who leads the forest walks) openly asked newcomers to raise their hands, with at least half of the participators doing so. After walking into the forest, making sure that all stay on trails to reduce erosion, the first talk inside the forest took place at the “Lake”, where an activist duet sang covers of popular tunes redone with ecological and climate lyrics. Next stop was OakTown, where activists wearing carnival masks and wigs waved from tree houses, lowering wicker baskets to be filled with gifts and donations for the occupation. The humorously referred to as “mayor” of OakTown, Clumsy, demonstrated abseiling down the rope and talked about living up in the trees. Next on the tour came the newest treehouse village: Gallien. Here the visitors were serenaded by a forest defender sitting on a monkey bridge between tree houses playing guitar. The forest-walkers’ interest in the occupation led to many conversations with the activists, resulting in organizers hurrying people away to keep the walk on schedule. After walking all across the forest, hot meal and warm matcha tea was shared with all. Before the action the police were asked to identify themselves and several raised their hands. Their presence could be explained by both gathering of intelligence for future eviction actions and for reasons of public relations. Their presence was met with clapping by some of the participants. This was not the easiest thing to accept for many forest defenders who have, are and will continue to deal with physical repression from the Police. In a line two people side by side, the red clad participators formed a line, and with banners and flags marched down the old A4 highway, separating the remaining forest from the clear-cut area with the mine. Here a banner was dropped by camouflage clad activists in the trees. Most people in the line were wearing red, had red banners and included a generational cross section which besides many children and elderly folks also included members of the local motorcycle club. Stretching a long strip of red fabric down the highway, the action symbolized drawing a a border, a red line, from which we will not accept or allow the continuing destruction of the Hambacher Forest and CO2 emissions associated with RWE Operations. Some stressing resistance and direct action as the main form of activism would argue that this was largely a symbolic, photo-op action, but such statements would ignore: the importance of wider support for this movement; the need to combat disinformation and propaganda distracting from the violence and injuries inflicted by the secus and the police by letting people interact and talk to the forest defenders. Great numbers also strengthen the climate movement and ecological movement and make many in the forest feel less marginalized. 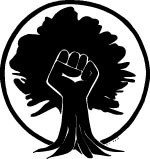 It is important to maintain this unity and strength by also critically looking at the dynamic of repression and its role in silencing activism and in the co-option and utilization of law enforcement and justice structures by ecologically and climate criminal corporate enterprises such as RWE. Barricades Cleared and Trees Cut today. Announcement was made in the morning that trees north east of the old entry to the motorway would be cut. The police entered the forest with heavy machinery at around 12pm, starting to clear barricades. 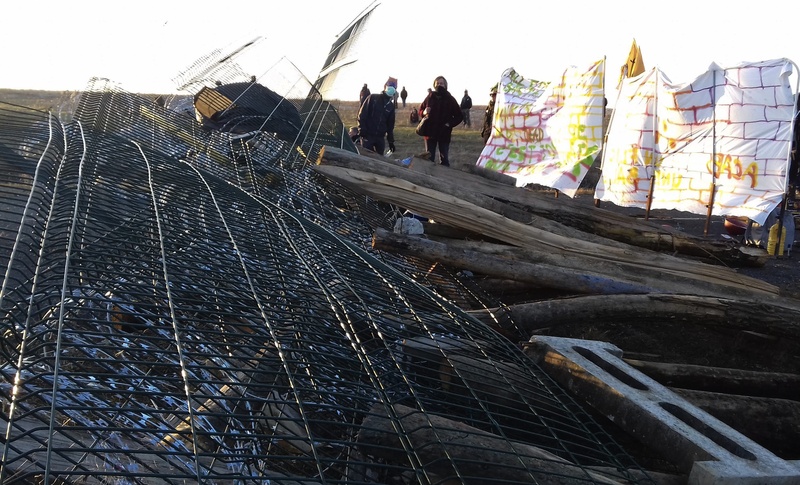 This is the 25th time that barricades have been cleared and rebuild in the Hambacher Forest. 9:29 A helicopter circles over the area. 12:23 Heavy machines drive from Deathtrap into the forest accompanied by large number of Police. 13:08 Cutting takes place north-east of the Security bridge. Crowns of trees are crushed, ramparts are piled up. Possibly also clearance of WWII unexploded munitions. 13: 28 Barricades are now being cleared south of Jesus’ point, on the road leading to the road connecting Buir and Morschenich. 14:03 The way between meadow and jesus point is reported to be cop free now. 14:27 RWE have started the cutting of the trees north east of the secu-bridge now. A chopper flew over the forest, left 10 minutes later. 15:05 Police left the forest west of the secu road.